AW Health Care provides medical home care services to clients within the St. Louis metropolitan area including St. Louis City and the Missouri counties of St. Louis, Jefferson, Franklin, St. Charles, Warren and Lincoln Counties. 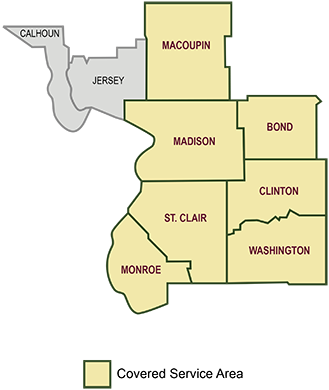 Our Illinois office provides services to clients residing in the Illinois counties of Madison, Macoupin, St. Clair, Clinton, Monroe, Washington and Bond. We offer outpatient therapy services at our University City, Missouri clinic and at “The Fairwinds” clinic located in St. Charles, Missouri. Please click on the tabs below for directions to our outpatient therapy locations and to find maps of the areas we serve. AW Health Care provides comprehensive support for its home health patients with chronic diseases and post-acute care needs. In addition, AW provides the highest quality home care to improve safety and maintain independence to meet the standards set by each individual client. 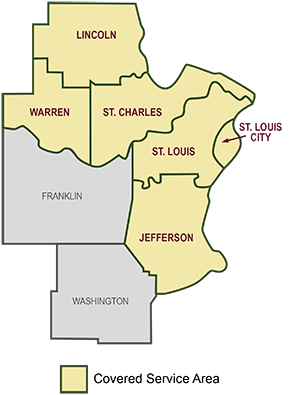 AW Health Care is centrally located in a beautiful residential area of St. Louis County in University City. There is ample parking available to guests. The main office is at 7208 – 7216 Balson Avenue, University City, Missouri 63130. The Illinois office is located in a beautiful small town community.